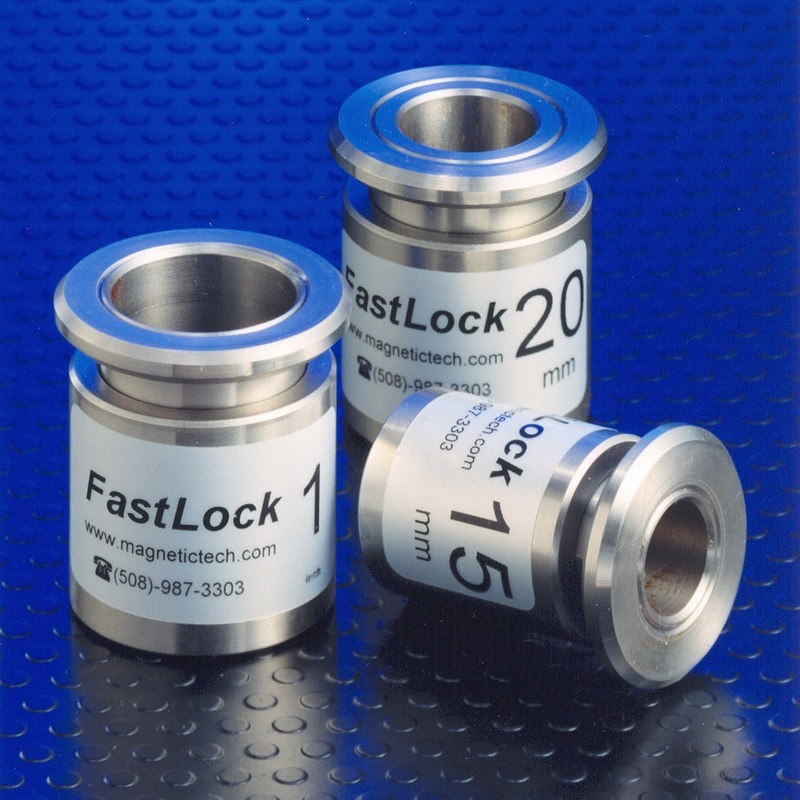 FastLock Shaft Locking Collars | Magnetic Technologies Ltd.
FastLock quick release shaft locking collars are used throughout the wire and cable industry for spool retention. The FastLock easily slides onto the spool shaft in one direction and locks in place. This quik loking functionality ensures spool retention while maximizing productivity. To remove, simply pull on the release collar and the FastLock slides off of the shaft. All FastLocks are constructed from Stainless Steel . Steel versions are available upon request. FastLocks are NOT designed for use on hardened shafts.